Back in 2016 we started Vevolution out of a desire to inspire a new plant-powered generation of people who believe that a better future is possible. Over the past 2 years we have held 16 events helping thousands of people find inspiration, hope, friendship and purpose. The vegan movement has grown up around Vevolution and we as an organisation are growing too. 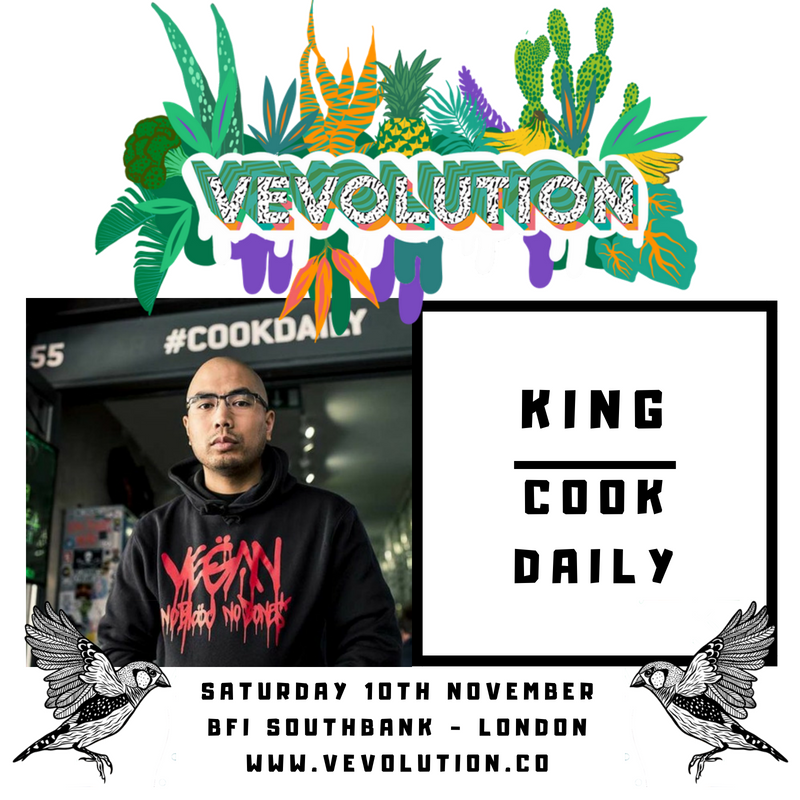 This year we are so excited to share the news that our 3rd annual Vevolution Festival is taking place on London's Southbank on the 10th November 2018 at The British Film Institute (BFI) one of London's premier cultural venues. We've come along way thanks to your amazing support and this year is going to be our biggest and most powerful celebration of the emerging movement of plant-powered people. At Vevolution we believe that a better world is possible. The vegan movement has been at the heart of creating a more conscious society. Vevolution Festival is the day when we bring together the world's leaders of this plant-powered movement for an immersive day of sharing experience. If you are about positively contributing to society and living a fulfilled life this is the festival for you. You will be joining plant-based thought leaders to discuss how we will create the movements, businesses and change that will shape the society of 2019 and beyond. View the early stage festival line-up which includes the likes of BOSH!, King CookDaily, Naturally Stefanie, Immy Lucas, Delikate Rayne, Jack Harries, Epi Vegan, Max La Manna, Loui Blake and many more. This year the legends that are America's premier plant-based food and drink festival Eat Drink Vegan are coming to Vevolution. They are hosting the the alternate stage at the festival and bringing with them a taste of LA's vegan street food scene and talented chefs to give the festival a West Coast feel throughout the day. Our festival goodie bags have become a little bit legendary since we started in 2016. Each ticket comes with an organic tote bag packed full of stuff to make you happy. Plotting to change the world takes energy. So we make sure you start the day well fuelled with a complimentary coffee + sample breakfast. Remember to bring you own reusable cup and drinks bottle to use throughout the day. Meet the amazing companies driving forward the plant-powered revolution at our brand supporter zone. They will have lot's of exciting plant-powered treats in-store for you all. Go and explore our festival line-up and book your place. We sold out of tickets 5 week's early last year and tickets are already moving quickly. This is the gathering for people who want to change the world. Come and spend a day with us and the most inspiring plant-based people, eat some great food and together make the world a more positive and wonderful place to live. A massive thank you for all your support so far.